At our dental office in Boerne, we understand how having bad breath can affect our patients’ lives. We’re commonly asked what causes bad breath in the first place, and more importantly, how to make it go away. In this week’s blog we cover a few helpful bad breath remedies that can help freshen breath once and for all. Bad breath isn’t something to take lightly. It’s best to talk with your dentist in Boerne about how long you’ve experienced bad breath, your health history, and any other symptoms you may have sooner rather than later. If you have bad breath we welcome you to schedule an appointment at our Boerne dental office. We’ll work with you to find the root of the problem and discuss the best ways to get you relief. Don’t wait, give us a call today. Each September is recognized as Whole Grains Month and serves to raise awareness of the multitude of health benefits that come along with eating foods made from whole grains. 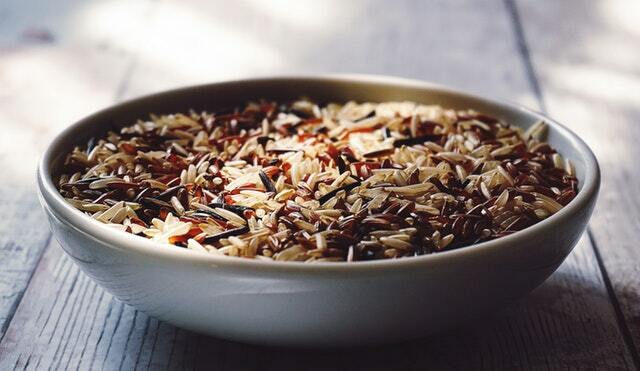 The most discussed health benefits of whole grains are usually related to heart health, but as our dental office in Boerne knows, the benefits of eating a well-balanced diet rich in whole grains goes beyond the heart. Magnesium – Magnesium works with calcium to build strong teeth and strengthen enamel to protect them against bacteria and decay . What we choose to eat has an effect on not only our overall health, but our oral health too. Your dentist in Boerne urges you to follow a well-balanced diet rich in whole grains, fresh fruits and vegetables, and plenty of water. Eating well and seeing your dentist twice year can keep your smile healthy. Don’t put off your bi-annual dental checkup, call our Boerne dental office to schedule an appointment.